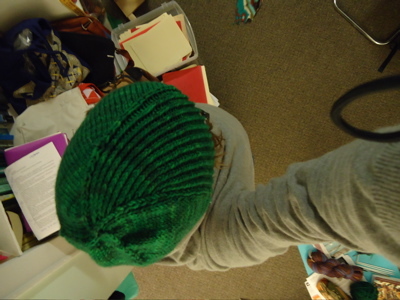 Last night I finished the windschief hat — and I absolutely love the asymmetry of the design and the stitch definition of this madelinetosh yarn. As you can probably tell, this hat isn’t for me (too big, and not necessarily a good match for my bouncy short hair — I think slouchier hats work better for me), but for a very dear friend with a new haircut and a few rounds of chemo in front of him. I’m hoping this provides warmth and comfort over the next month or so — you know, so I can continue to give him a hard time about everything else, like I always do! Details: Windschief Hat, by Steven West, knit out of a bit more than half a skein of madelinetosh tosh worsted (now I think this is called tosh dk), size Medium, using US size 6 and 7 needles, as directed. 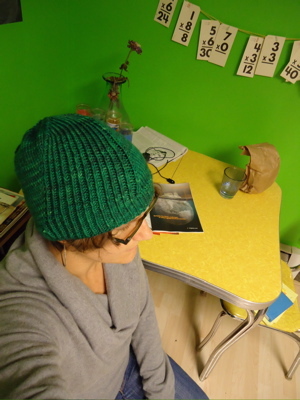 I knit to 6 inches instead of 5.5 inches before the decreases because the other Stephen West hat I knit (the botanic hat) seemed a bit small to me. I can’t say enough about how smart-looking this hat is. I think it’s a fantastic design and a fun knit that seems perfect for boys who don’t like fancy hats — and girls who like architectural details. 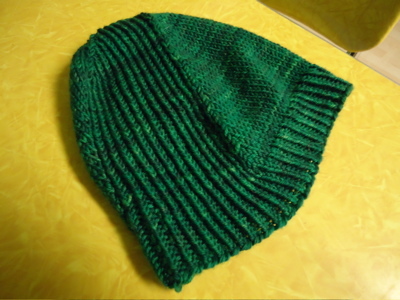 This entry was posted in knitting and tagged FO, hat, madelinetosh, windschief, worsted by barefootrooster. Bookmark the permalink. What a lovely gift. The color is so bright and full of the promise that new spring growth brings. Love it! A great gift for your friend, and a wonderful color choice, too! What a perfect gift! The color alone is enough to cheer anyone up (an on!). I want to squeeze that hat, it looks so squooshy and soft. 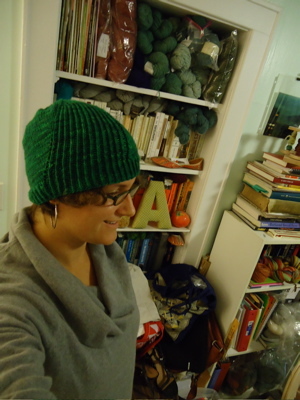 What a perfect gift to protect your friend’s head through the chemo and beyond. Ooh, great hat! Hope your friend likes it and it keeps his head toasty warm.